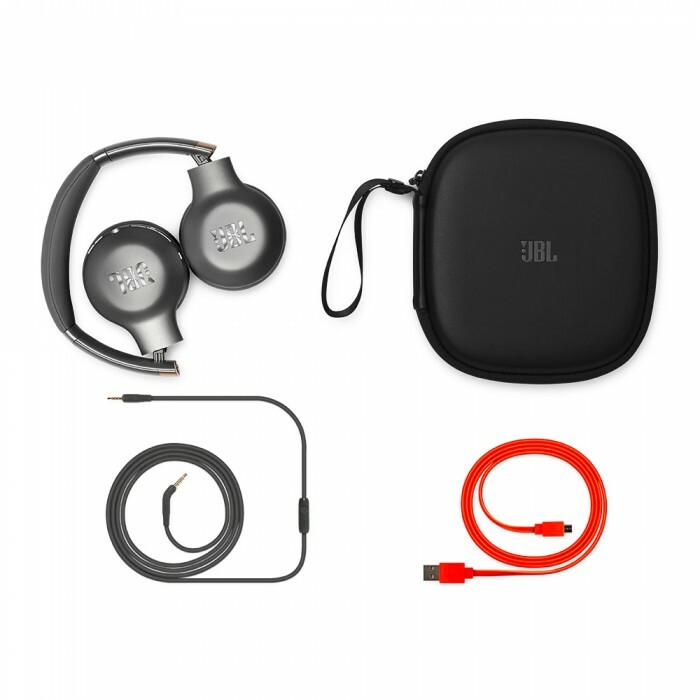 Slip on the JBL Everest 310 and you’ll experience up to 20 hours of wireless freedom, the thrill of mind blowing, Legendary JBL Pro Audio sound and the ergonomic comfort offered by premium material finishes and a snug fit. 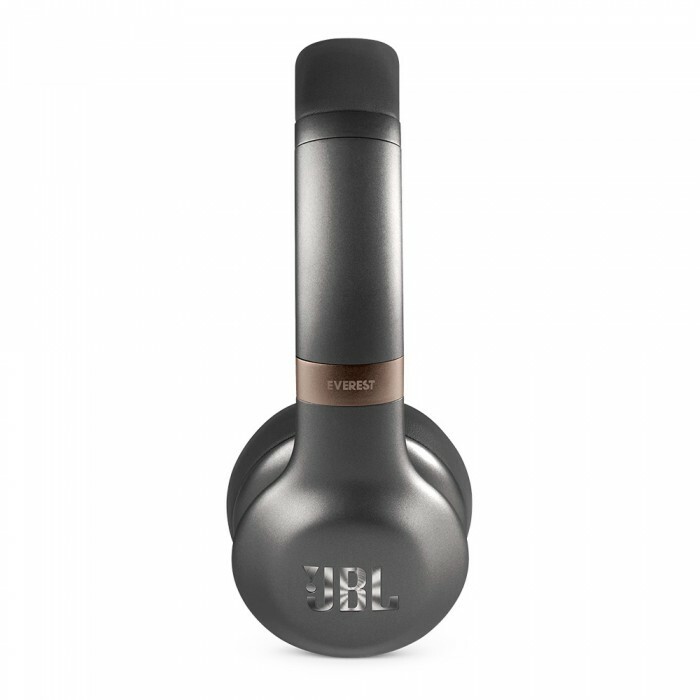 Bluetooth Connectivity - Wirelessly enjoy all your music. Legendary JBL Pro Audio Sound - Experience the same elevated experience and incredible sound JBL has been delivering to concert halls, studios and living rooms for 70 years. 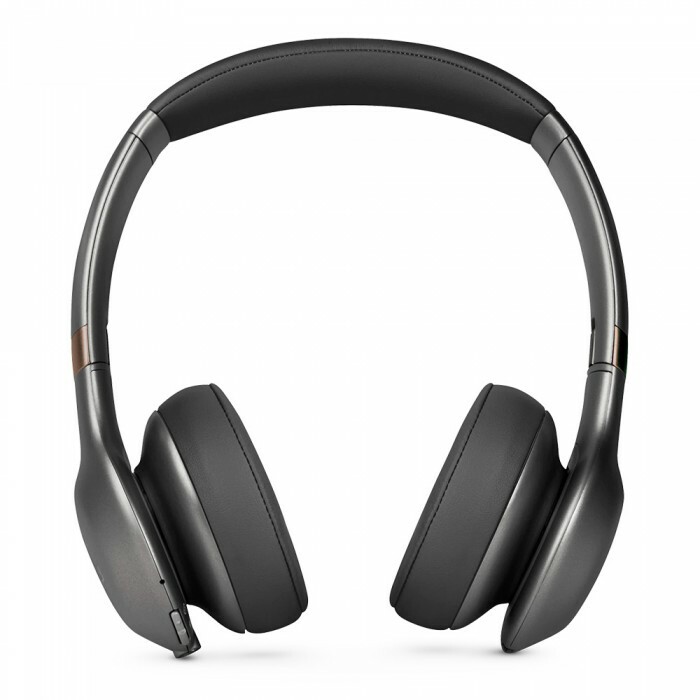 Connect and Share - With ShareMe 2.0 technology, now you can pair your headphones with other Bluetooth headphones to share your music, videos, and games across any brand – wirelessly. 20 Hour battery, quick recharge in 2 hours - Micro USB charging built-in battery provides 20 hours of playing time, with quick recharge in just 2 hours. Echo cancelling microphone - Built-in microphone with echo cancellation technology for crystal clear, hands-free calls. 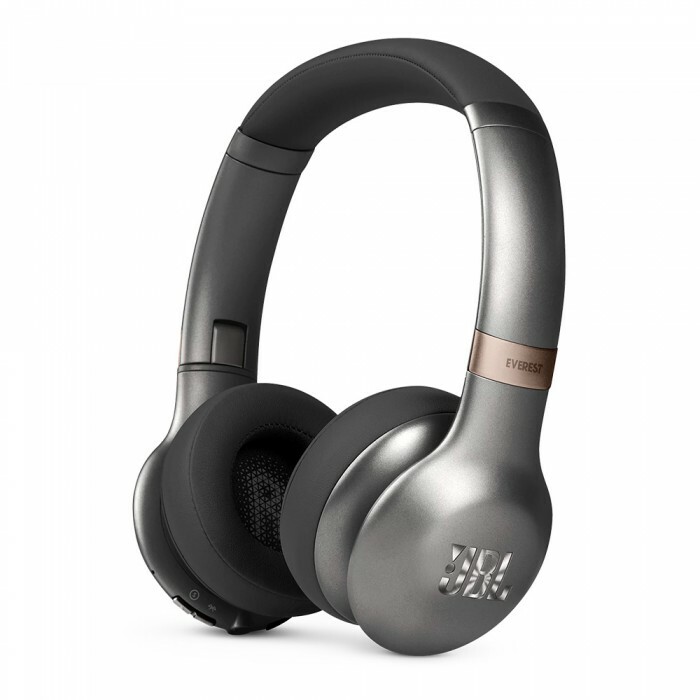 Comfort fit - Headphones are ergonomically designed to fit the unique contour of listeners’ ears. 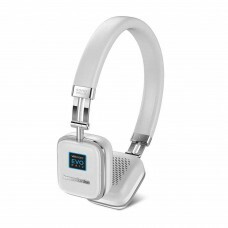 Listeners experience unprecedented comfort—allowing a longer, more enjoyable experience. Fold and carry - A sleek flat-fold design and a premium, hard carrying case allow maximum portability and protection. Size: 6 1/2L" x 2 1/2W" x 6 3/4H"
Case: 1 1/2W" x 3/4H"
Carton/Dimensions: 16L" x 11W" x 10H"